Who lives in a beehive? April 16, 2019 Diana Stinn General Information Comments Off on Who lives in a beehive? First peek in the hives this spring! Phoenix bees are starting to buzz! So please beeee aware! Do you know who’s in a beehive? There are 3 types of bees in a honeybee hive – workers, drones, and a queen. 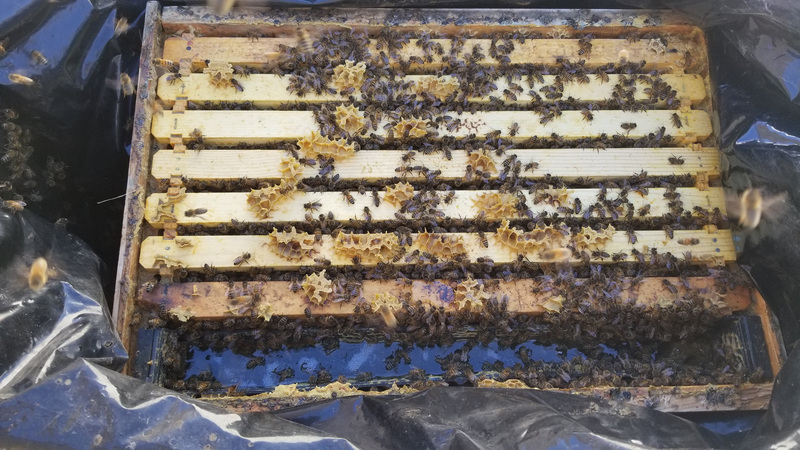 There is normally one queen in each hive. Her main role is to lay eggs to ensure the continuation of the colony. A queen’s lifespan is 3-5 years. When a new queen is born, she will go on mating flights and spend the rest of her life inside the hive (unless the hive swarms). Drones are the only males in the colony with one purpose – reproduction. Once the hive is established in the spring, the queen will start laying drones who mate with virgin queens in the vicinity throughout the season. In the fall, the drones are evicted from the hive as they are a drain on resources during the winter. Making up the largest percentage of bees in the hive, all workers are females. Workers can have a wide range of roles including nurse bees (they take care of brood), attendant bees (bees who attend to the queen), guard bees (guard the entrance of the hive), foragers (the bees you see out and about), and more.